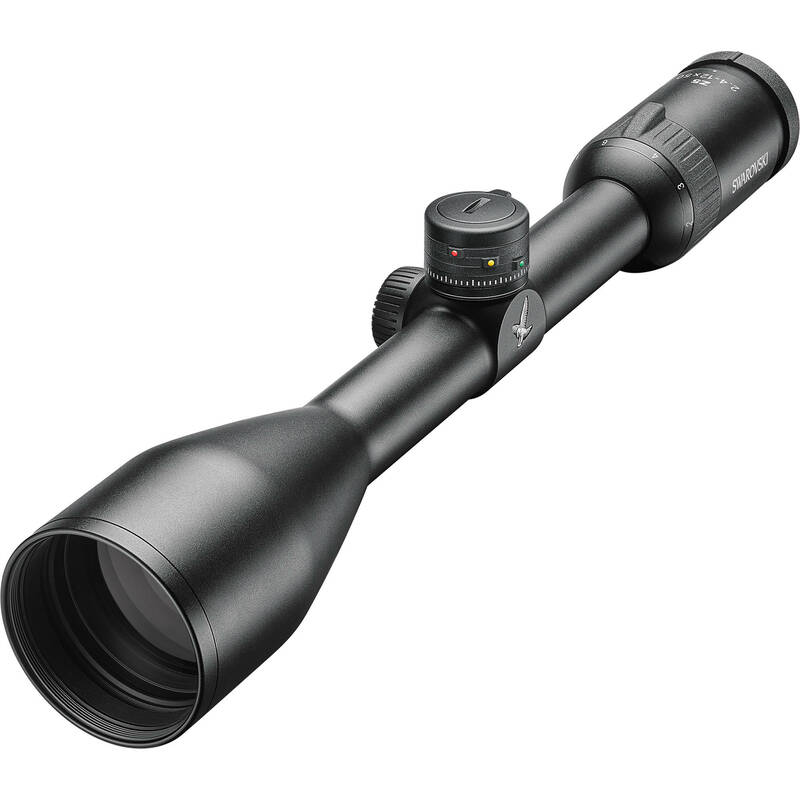 An ideal optic for long-distance shooters, the Swarovski Z5 2.4-12x50 Riflescope comes outfitted with a wide 90 MOA elevation adjustment range at 1/4 MOA/click to give you plenty of rotational room for extreme distance shooting, with the precision to get on target at closer range. Optically the scope is built with a wide 2.4-12x zoom magnification range that allows you to take in sweeping views on low power with the ability to dial up the magnification for positive identification and increased confidence in your shot placement. Its massive 50mm objective is optimized both for use in low-light conditions—such as at dawn and dusk when many species are most active—and to ensure views remain crisp and bright when viewing targets at long range with the magnification turned all the way up. Index-matched anti-reflection SWAROTOP lens coatings reduce light loss to just 2% so views are bright and crisp with enhanced clarity and resolution and accurate color rendition. SWARODUR exterior lens coatings protect their surfaces from scratches and abrasions. Furthering its user-friendly design are ergonomically placed zoom and dioptric correction adjustment collars that are easy to manipulate with precision, even when wearing gloves. A 1" maintube makes it compatible with a wide variety of rings and mounts without adding excessive bulk. The housing is made of a lightweight and durable aluminum alloy that is treated with a scratch-resistant matte-black anodized finish. O-rings seal in the inert nitrogen gas that fills the scope, making it waterproof, submersible, and resistant to internal fogging in extreme conditions. Stripped to the basics and optimized for long distance, the Z5 BT is an ideal choice for no-nonsense shooters.